Malawi, also nicknamed “The warm heart of Africa”, is among the smallest countries in Africa. It is a landlocked country in southeast Africa, bordered by Zambia to the northeast, Tanzania to the northeast, and Mozambique to the south, east and west. Malawi is only 118.000 square kilometres, and approximately 20% of that area is occupied by Lake Malawi. 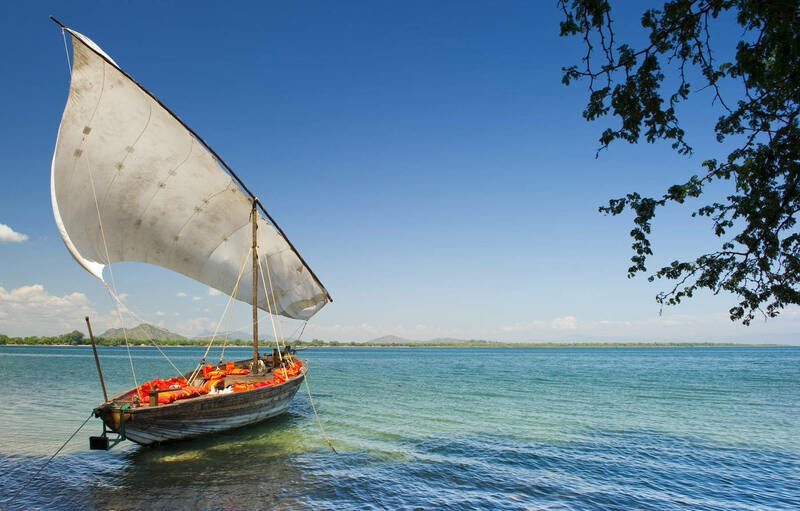 Full of natural resources and extremely welcoming, this country offers an unrivalled combination of landscapes, wildlife and culture featuring the sandy beaches of Lake Malawi, the high peaks of Mt. Mulanje, the mysterious Zomba Plateau and the Nyika Plateau. This diversity of landscapes results in a array of activities for the visitor: horseback riding, walking safaris, visits to the rural communities, windsurfing on the lake, sailing, snorkelling – the list goes on and on. Even though it’s not the most sought out African destination, the country is well organised for tourism. There are luxury lodges, especially inside the two main parks, and luxury hotels in the capital and main cities. Typically visitors to Malawi continue their trip to Zambia, the wildness of which is an amazing contrast to the gentle landscapes of Malawi. The northern region, where the landscapes and the locals here are very different from the rest of the country, has a lot to offer. The area is mostly covered by the Nyika Plateau, dotted with stunning mountain outcrops and the endemic herbs and heathers found in its rolling, montane grasslands. The Vwasa Wildlife Reserve, on the other hand, is located on a low lying plain, characterised by Mopane and Miombo woodlands and marshy wetlands which attract a large number of species. The forested Vipgya and the Mzimba Plateau are wonderful areas which offer the possibility of unwinding or taking on more adventurous such as trekking, mountain biking and various other activities. The capital is of the northern region is Mzuzu, which is situated between two important roads: M5 which takes you to the lake and M1 which links Lilongwe with the northern side of the country. There are many hotels and activities in the city. A visit to Livingstonia Mission, situated above Lake Malawi, is an absolute must. Livingstonia is a mission settlement that dates back to 1894 and was established by Robert Laws, a disciple of David Livingstone. The capital city of the central region is Lilongwe, which is also the national capital. The region borders Lake Malawi as well as the countries of Zambia and Mozambique. Lilongwe is a city of contrasts, being both historical and modern with its old fishing ports and skyscrapers. There are several national parks in the region, including the Kasungu National park that features Miombo woodlands and grassy river channels populated by elephants, hippos, buffalos, zebras, hyenas, antelopes and wild dogs and the scenic Nkhotakota Wildlife Reserve, the country’s oldest and least-developed protected area. This region is the most economically developed as well as the most populated, especially around Blantyre. Its landscape is dominated physically by the great Shire Valley and Mt. Mulanje, which host hundreds of species of birds, flowers and incredible plants. The lowest point of the country is found within the Shira Valley, yet not far is Malawi’s highest peak, the great Mount Mulanje (over 3000m), covered in Thyolo tea estates and amazing landscapes. Sometimes you can see the locals working, picking tea leaves and carrying heavy baskets – a scene that seems to come from a long ago time. For travellers wishing to visit the area, the Satemwa Tea Estate is highly recommended. There is a small hotel inside the actual estate, The Huntington House, where it is possible to sleep. The estate is actually a massif of peaks and basins, a huge forested ‘island in the sky’ and, aside from the lodges, is accessible only on foot. There are many cedar trees and Mulanje cypresses, which are endemic to the area, as well as a number of other plant and animal species, including forest butterflies, a dwarf chameleon, the endangered cholo mountain alethe and the white-winged apalis. The southern region is also host to the Liwonde and Lengwe National Parks. The natural vegetation of Malawi is characterised by Miombo woodlands up to an elevation of about 1500m (especially in the middle of the Shire Valley and along the southern side of the Malawi Lake, woodlands with acacia trees in the more fertile plateau sites and river margins and grasslands with evergreen forests between the highlands of the Mulanje and Zomba massifs. Malawi has a great diversity of indigenous wild flowers such as Helichrysum, Aloe, and over 400 species of orchid. This is due to the wide range of habitats, which vary from high mountains and plateaus to tropical evergreen forests and low-altitude woodlands. Malawi is also known for its variety of fish, in fact, in Lake Malawi there are over 500 species alone! This is the largest of Malawi’s national parks, covering an area of 3.200 square kilometres at an altitude of 2.600 meters. This park is filled with one panoramic view after another: undulating grasslands with incised valleys, mountain slopes with masses of wild flowers and rolling green hills and tropical forests nestled in the valleys. It can get surprisingly cold on the Nyika Plateau, especially at night from June to August, when frost is not uncommon. Located in the very heart of Africa, it is considered the most beautiful park of Central Africa. It is populated by a big variety of African animal species in a landscape that reminds one more of Europe than Africa with its plants, flowers and grasslands. After the wet season, the landscape bursts into life in a blaze of wildflowers, including over 200 species of orchids. Nyika is a wonderful place for trekking, mountain biking, horseback riding and conventional 4×4 excursions. The vegetation attracts antelopes, zebras, and other species of mammals such as warthog and bush pig. Elephants and buffaloes usually keep to the lower altitudes as do the larger concentrations of leopard. Nyika is also a birdwatcher’s paradise with over 400 different species. Inside the park, there are only two places to stay overnight: the Chelinda Lodge and the Chelinda Campsite, both are managed by Wilderness Safari and are very comfortable with a unique atmospheres. On the west side of Nyika Park, this reserve is covered in forests, grasslands and strips of thin woodland and marsh. 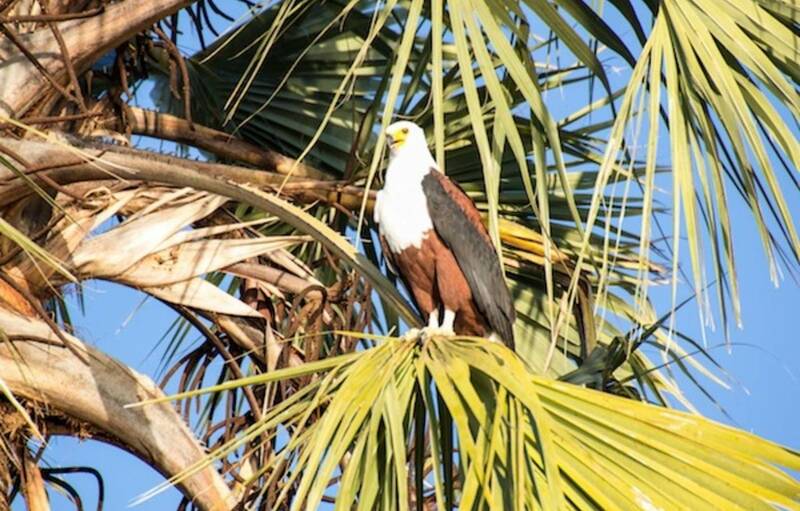 It is crossed by the Luwewe River, which attracts a splendid range of birds as well as elephants, hippos, buffaloes and other mammal species. Sometimes you can even spot lions and leopards. This park is located in the central region of Malawi, along the western border It is a 2100 square kilometre area of natural woodland, bush and open grassland where animals live freely. Unfortunately poaching has reduced the number of some species, but there are still large numbers of elephant, hippo, antelope, buffalo and zebra. Predators in the park include leopards, hyenas, servals and jackals. It is quite easy to access the park from the capital, and driving through the park is not difficult. Located in central Malawi, this scenic reserve is the country’s oldest and least-developed protected area. It is crossed by rivers and streams on their way to the lake and its vegetation is characterised by miombo woodland with small open-ground areas, perfect conditions for those who want to enjoy a walking safari and who love fishing and/or trekking. The reserve is home to antelope, buffalo, baboon, leopard and a few lions, but the dense vegetation doesn’t make animal sightings very easy. Accessing the reserve is somewhat difficult as is driving through it. There are only two lodges, the Bua River Lodge, which is a simple tent camp and the Tongole Wilderness Lodge, which is quite luxurious and offers great service and interesting activities such as kayaking along the Bua River. Located at the southern end of Lake Malawi, it’s the only national park in Malawi that was created to protect fish and aquatic habitats. The property is of global importance for biodiversity conservation due to the huge diversity of fish found there. The reserve is home to many hundreds of cichlid fish, nearly all of which are endemic to Lake Malawi. Cape Maclear is a peninsula that falls within the boundaries of the park, from which you can reach the Bays of Mumbo and Dowme and visit their small islands. Here you can enjoy many activities such as snorkelling, kayaking, bird watching and fishing. For those who prefer to relax and rest, there are the beautiful white sand beaches or a boating trips. Outside the national park there are the Likoma and Chizumulu Islands, with their beautiful beaches and villages where you can meet the locals and experience their culture. Likoma is home to a very luxurious lodge, Kaya Mawa, which it offers elegant bungalows, great service and interesting activities. Located on the upper Shire River plain and covering an area of 580 square kilometers, this was one of the first reserves in Malawi. The landscape are quite varied and include mopane woodlands dominated by weeping trees, reed swamps and other marshland vegetation along the Shire River; there are the floodplain grasslands in the south, woodlands on all the hills, tall grass/tree savannahs along the narrow floodplains of seasonal streams, and small pockets of dry deciduous riverine thickets and semi-deciduous riverine forests. All of these landscapes host an incredible variety of species including hippo, crocodile, elephant, rhino, and a large quantity of antelope and many species of bird. The Mvuu Lodge and Camp are the only places where you can stay and they offer many activities such as boat and 4×4 safaris both day and night. On boating safaris during the day, it is quite easy to spot elephants and at night you can spot crocodiles and endemic birds. Walking safaris with expert guides are also available. This is an interesting reserve in the Shire Valley which it has been intensively protected and re-stocked with game. Majete Ltd is the local company that has been designated by African Parks LTD to manage the Reserve. In 2003 African Parks Ltd and the Government of Malawi signed an agreement allowing African Parks Ltd to take over the rehabilitation, management and development of the Majete Wildlife Reserve for 25 years; after which time, the reserve will be returned to the Malawi government. This agreement was made in order to stimulate the conservation of biodiversity and the proper utilization of natural resources within the country. Today the park hosts the Big 5: lions, leopards, black rhinos, elephants and buffaloes. The reserve is teeming with many other species as well including antelope, zebra, Lichestein’s heartebeest and eland. There is only one lodge inside the park, the Mkulumadzi Lodge. This is situated in a beautiful spot with incredible an incredible view and offers many activities such as game drive, boating and walking safaris with expert guides. The park can be easily accessed from the city of Blantyre. The park is covered in thicketed vegetation and woodland with dense trees growing along waterways. It is the perfect place for animal sightings. 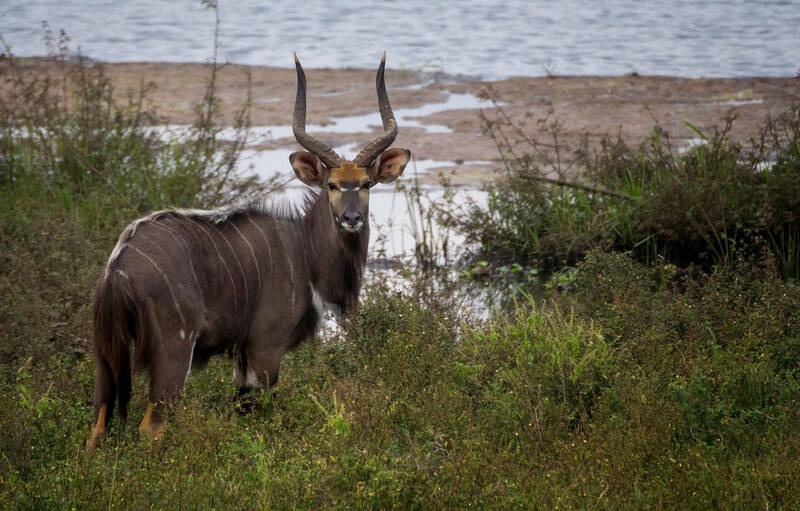 In fact, Lengwe is home to the beautiful Nyala antelope, which is indigenous only to this park in Malawi. There are many other species in the park including kudu, impala, bush and reedbuck, buffalo, duiker and warthog. Some of the primates include velvet monkeys, blue monkey, baboons and bush babies. There are many cats in the park and it is also home to more than 350 bird species.